Used for the favors given at my daughter's bridal shower. Just perfect! Purchased these tags to accent our mason jar favors, well made, easy to use, excellent color& style selection to choose from! I am planning another wedding this year for my daughter and I am planning to purchase this product once again! 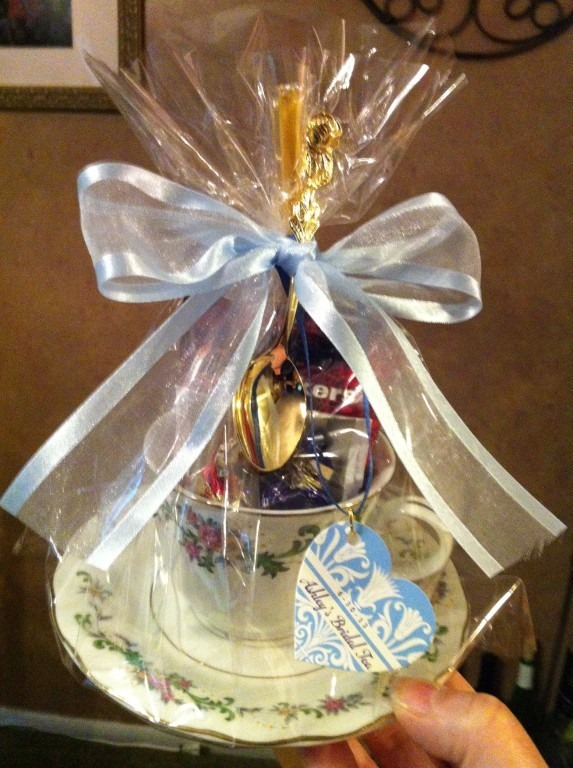 I added a gold jumping and ribbon, than tied it to the teacup party favor I made. It was the perfect touch for a memorable keepsake. The perforated tags easily came off the card stock that they were printed on. No hassle, perfectly printed, easy to use. Great product! Beautiful tags and great quality! I ordered these heart-shaped tags in orange colors for our 2-inch brown wedding-favor boxes, which were also great! I was a little worried that the tags' size will be too small or that people wouldn't be able to read the text, but they came out to be just great! Great size, great colors, great quality! 100% recommended! I just love the heart shaped tags! Beaucoup did a great job, I am verying happy. We were able to personalize our tea cups with these beautiful heart-shaped tags. These favor tags fit our wedding theme perfectly & look amazing on our favors. The price was great for the quality. We glued the tag instead of tying it onto the favor and it looked just right. The labels were better than I expected and the turn around time was great. The only negative was that I wish the pre-cut holes had been knocked out before shipping rather than ending up all over my living room floor. very happy with all my orders!!! I love these! I put them on the small gift boxes that had my favor in them. Luckily though my gift boxes had there own ribbon b/c the pieces of string sent with the tag would have looked tacky. We love that you can customize! Colours were the same as shown on the website. We love that you can customize! These tags were purchased for sweet 16 favors. They were beautiful and a great choice for originality. So different from personalized ribbon. I loved them! using as tags for favor boxes for my friends wedding, very cute and personable! 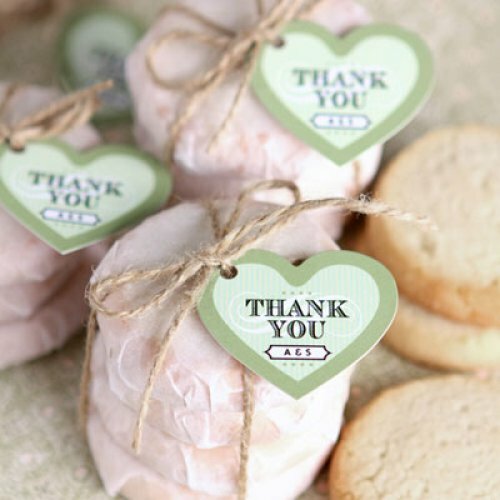 I used these heart shaped tags for shower favors, they are the perfect size and beautifully made. The design around the outer part of the heart is a stunning touch. Q:Are the strings included/attached or do I have to attach them myself? A:The cotton strings come in a separate bag and you punch the tags out and add the strings to tie them onto your favors. Q:How do I include a description in the back of the photo tags that I have in my cart? A:We are not able to print on the back of the tags. You can write on the backs once they arrive. Add a personal touch—and a touch of love—to your wedding favors with these personalized heart-shaped gift tags. They're also great for bridal shower favors and engagement party favors. Each heart-shaped tag comes in an array of designs and color combinations. Simply take your pick and customize with personalized details such as your names and initial or monogram; add your own photo to create a unique look. Affix to gifts with ribbon (not included). Measures approximately 1.75"W.
Pair with heart-shaped favors such as heart glass photo coasters, heart-shaped coffee scoops or personalized heart-shaped chocolate lollipops.